Viber for Android is one of the most popular applications for communication via voice and video calls, texting and sharing photos with your mates and loved ones. The program offers an ability to perform calls and send messages between its users for free, regardless of location and countries they are currently in. You can use Viber on Android phone, PC, laptop and any other devices as well. Among the other awesome app’s functions are the possibilities to call non-Viber users at a reasonable fee, use thousands of colorful and animated stickers, send different types of files and communicate in big group chats. Moreover, you can also subscribe to public chats of the world-known celebrities, pop-stars and sportsmen and get all the fresh news directly. The app has a high security level due to the end-to-end encryption of all user’s information. Furthermore, you can use hidden chats for extra protection of some kinds of your data. To start using the app on your Android-based phone, you will need to download it and register in the system. The process is always quick and easy, since it lasts no longer than a few minutes. After you’ve successfully installed an application on your mobile, it is likely to automatically integrate with your phone book, so that you will be able to see, which of your contacts are already using Viber. 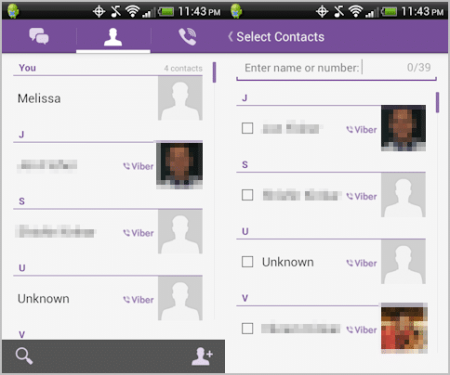 How to use Viber for Android on your mobile phone? Open your Contact List and Click on the Person Icon at the top of the program. You will see an alphabetical list of your Contacts to communicate with. You can also use a special Magnifying Glass Icon to search and find the needed contact more quickly. When you send a message, the app’s user will get a notification so he/she can write you back. You can easily text, like you usually send SMS messages. Moreover, you are able to call any user by clicking the Phone Icon in the top of the program. 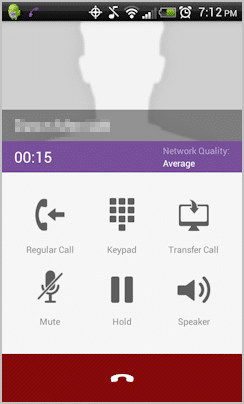 All calls between Viber users are completely free, regardless their type of device, operating system, etc. When you make a call or receive it, you’ll see a simple display to interact with. You can also perform the transfer option in case you have linked your mobile app’s account to a desktop version. Just choose the Transfer Call and you’ll receive a call on your desktop. 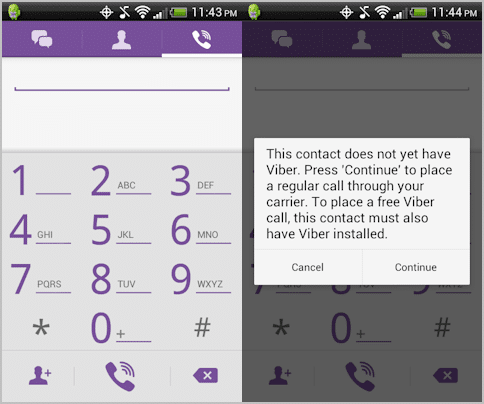 Is it easy to use Viber on Android phone? The answer is “Yes!” Just try it for free and you’ll definitely like communication without limits!